Bagan, the old capital of Pagan Kingdom during the 9th and 13th century, housed more than 10,000 pagodas, temples, and stupas. The shape and construction of each building play a significant role on the spiritual life of Myanmar. However, long time passed, these sites were devastated by natural phenomenon and external causes. Nowadays, around 2,200 temples and monasteries existed in the plain, all make Bagan become Myanmar’s archaeological wonderland. This sacred place is well-maintained and has become one of the major tourist destinations of the country. In September 2017, an application of Bagan Archaeological Area and Monuments was finally proposed to UNESCO for being listed as World Heritage Site. This is the second time endeavor was made for aiming a final designation of this site in 2019 for the first time in 1994. Bagan Archaeological Area and Monuments failed to be qualified for inclusion in World Heritage Site list in 1994 for not meeting criteria required by UNESCO. At that time, the Bagan site had not finished its demarcation and there is no legislation for heritage conservation as terms of world heritage procedures.According to U Aung Aung Kyaw, director of the Department of Archaeology, National Museum and Library, the military government implemented a two-lane road and golf course within the heritage area, which is against world heritage conservation procedure. In 1996, experts from UNESCO’s heritage committee suggested to re-apply, with a detailed map of the cultural site as well as legislation to protect the heritage. After nearly 23 years, all procedures are about to be completed. Preparations are underway to prepare Bagan for a World Heritage status application. It is said that the site inspection will be conducted throughout 2018 by representatives from UNESCO. “We already submitted world heritage- cultural site application. UNESCO will get back to us in November with suggestions. We will re-submit the first part in February, with the suggested corrections, along with the management plan. Then, experts from UNESCO will check the situation on the ground in June and July 2018,” U Aung Aung Kyaw said. Thus, we are optimistic to believe that Bagan Archaeological Area and Monuments will soon be recognized as a World Heritage Site in 2019. Every year, Bagan attracts lots of tourists around the world to visit the Archaeological Area and Monuments. Some activities should not be missed there including watching other-worldly sunrise or sunset over temples, take a hot – air balloon ride over Bagan; exploring temples and stupas firsthand. If you have a chance, try to perch on top of one of Bagan’s quieter temples to watch the sun shimmered up over the horizon, it will definitely catch your breath. On top of that, taking a hot-air balloon ride over Bagan to have a panorama view of these complex is also a must-try activity when visiting Bagan. Are the international flights included in Burma Travel’s packages? How far should I book the tour in advance with Burma Travel? 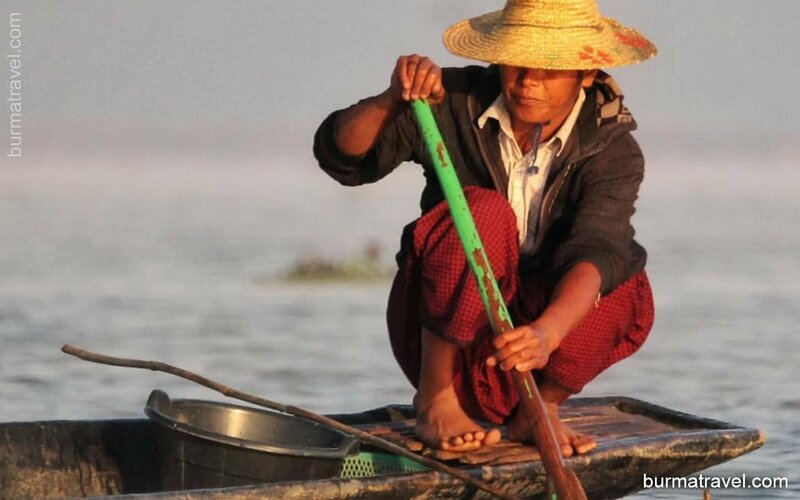 When is the best time to go to Burma?